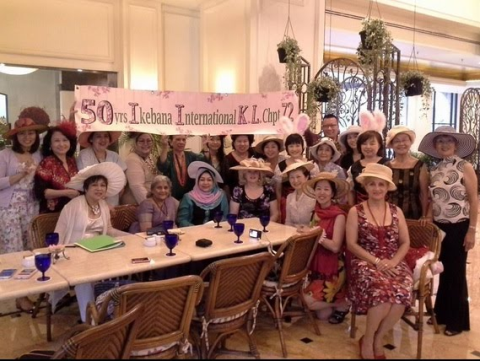 I am thrilled and honoured to have been invited to join Ikebana International Kuala Lumpur Chapter’s 50th anniversary celebration event in their lovely city. I.I. 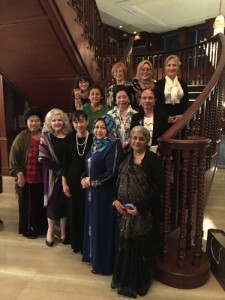 Kuala Lumpur Chapter is celebrating its 50 years’ anniversary this year, with an exciting week-long event in Kuala Lumpur from 12th to 14th November 2014. And I have been invited to demonstrate Ikenobo Ikebana and run a workshop for members and honoured guests. The Chapter are planning a massive event, as you can imagine from their earlier pre-celebrations. To see more take a look at – I.I. KL website. I have often given demonstrations and workshops within UK and exhibited in Japan. But this will be the first time demonstrating Ikebana in Malaysia. I am so looking forward to the event and to meeting up with Paulene, I.I. KL’s President, Datin Paulene Tunku Mu’tamir, whom I have met several times before. And I shall have the opportunity to see one of my first students, Joo, who now teaches in Malaysia.